Kicking off the NAPE Business Conference, Bruce Niemeyer, vice president of the Mid-Continent business unit for Chevron, opened with a reflection on the history of the Permian Basin. He shared how the legacy of the first workers in the Permian Basin continues to develop today, as oil and gas professionals are making history in the region. The conference continued with a Wood Mackenzie panel discussion among Robert Clarke, research director; R.T. Dukes, research director; and Clay Lightfoot, research analyst. They explored the current state of activity in the U.S. Lower 48 upstream, including investmentpotentials, price outlooks, and play and operator benchmarking. Dukes highlighted the huge potential in the Permian Basin as well as other key regions. The NAPE Business Conference Luncheon featured Alan Townsend, president and CEO of Rosehill Resources, and Steve Goreham, executive director of the Climate Science Coalition of America. Goreham tackled the three common misconceptions about energy: pollution, climate destruction and resource depletion. He illustrated how we are experiencing the start of an upheaval in energy with the recent changes in public policy and perception on climate change. The Business Conference was taken to the next level with the addition of the Hot Play Table Talks, which provided greater opportunities to meet and network with industry decision-makers in specific shale plays. 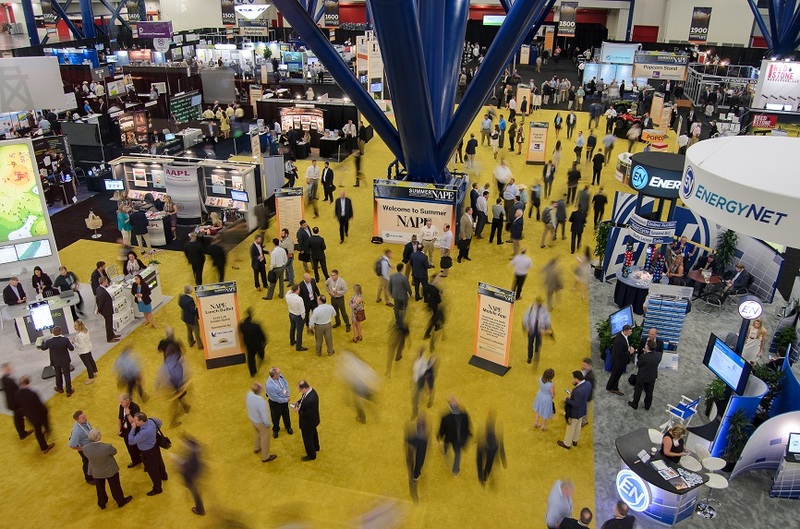 After the NAPE Business Conference concluded, the Summer NAPE Exhibit Floor hosted more than 100 prospects and opened to scores of upstream deal-makers, financiers and energy professionals from across 34 states and 190 cities. Also new for 2017, Summer NAPE offered a Lease & Mineral Exchange that gave exhibitors the option to showcase undeveloped lease positions for the first time in NAPE’s almost-25-year,history.